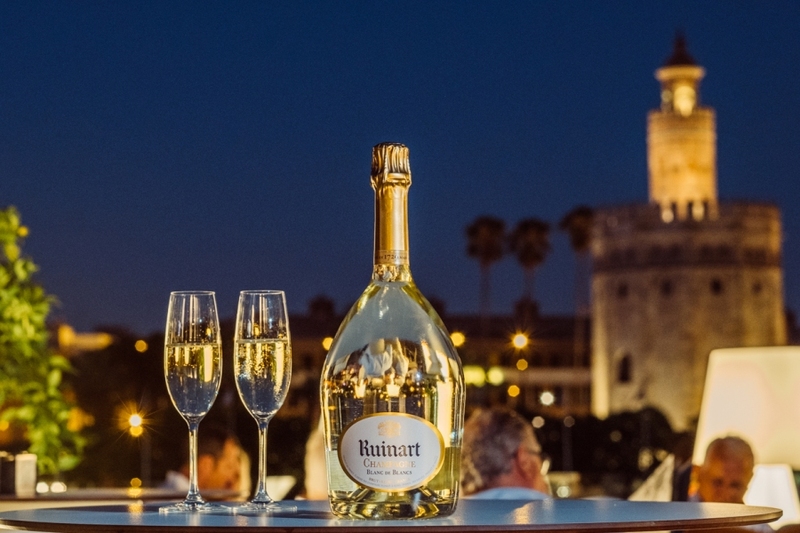 Abades Triana is located on Betis Street in Seville, next to the Guadalquivir River and in front of the Torre del Oro (Tower of Gold), in the popular Triana neighborhood. 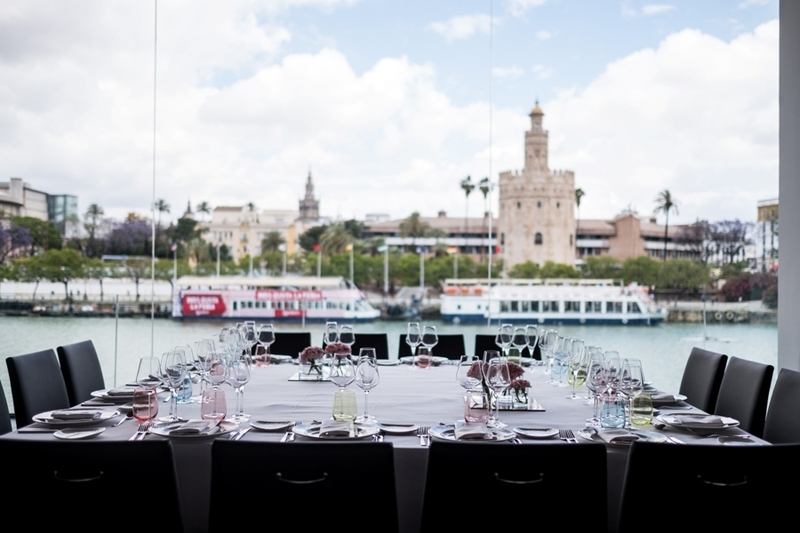 Its spectacular panoramic window in the main dining room makes it the perfect enclave to see the river as a protagonist and take in the views of the Torre del Oro, the Giralda, and the Maestranza. A romantic dinner? A magical event? The spectacular setting surrounding our restaurant adds to the high professionalism and experience of our team as well as the quality of the raw materials. Won’t you experience it for yourself? A unique place with a privileged location. 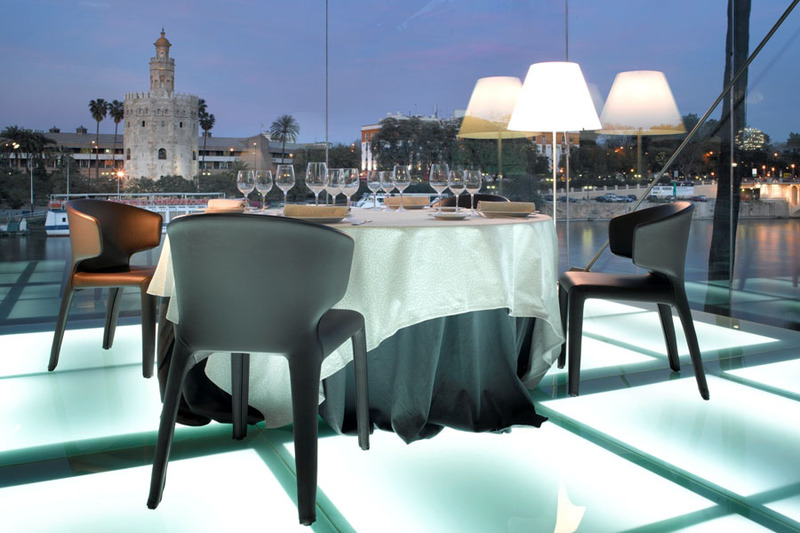 Enjoy our cuisine with a beautiful view of Seville. 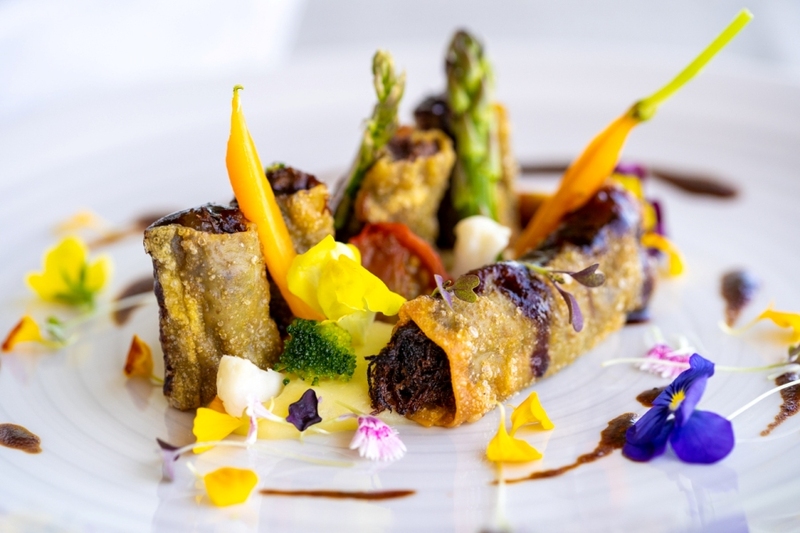 Our renowned Chef proposes avant-garde Andalusian cuisine with traditional flavors and touches of innovation. A select wine list consisting of more than 500 of the best national and international items. 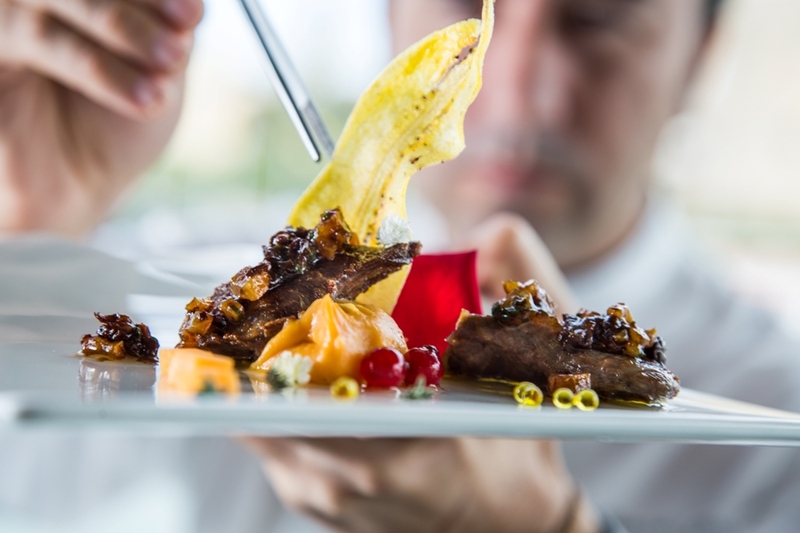 A unique gastronomic experience, where Innovation and Tradition combine to offer new nuances and flavors. ¿Almuerzo de trabajo? ¿Cena romántica? ¿Degustación? Tenemos un menú especial para cada ocasión. We offer unique experiences to enjoy unforgettable moments. Valentine’s Day, Christmas, New Year’s Eve, wine tastings, etc. 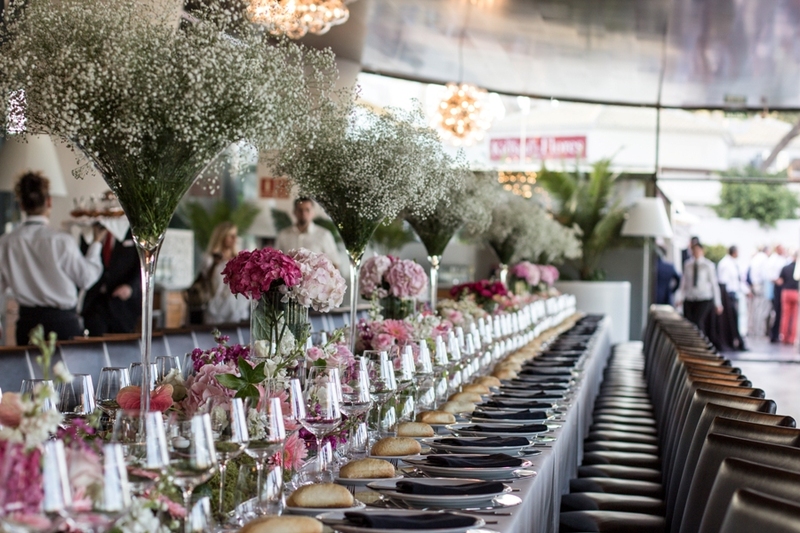 Celebrate your unique wedding with us. 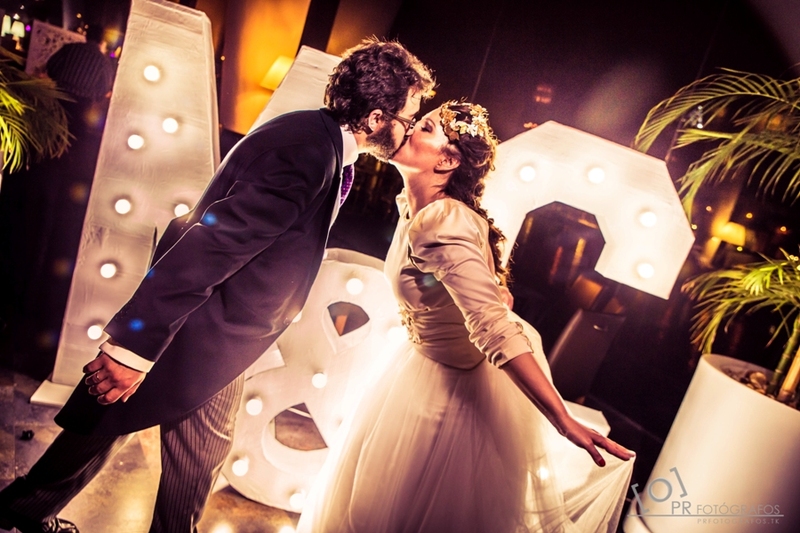 We will do everything possible for you to have the wedding of your dreams. 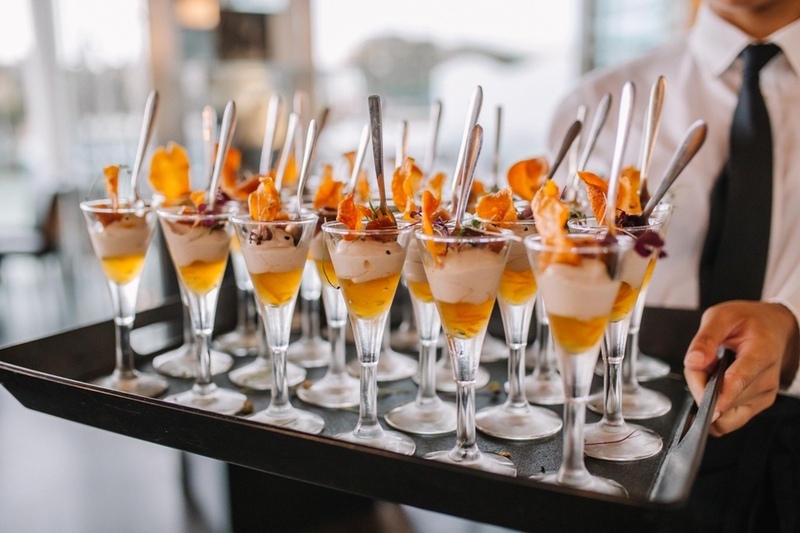 We are specialists in organizing events. Discover the keys to our success. We offer you our experience and capabilities with a single motive: satisfying your client. At Abades Triana we offer you experiences capable of challenging your senses. 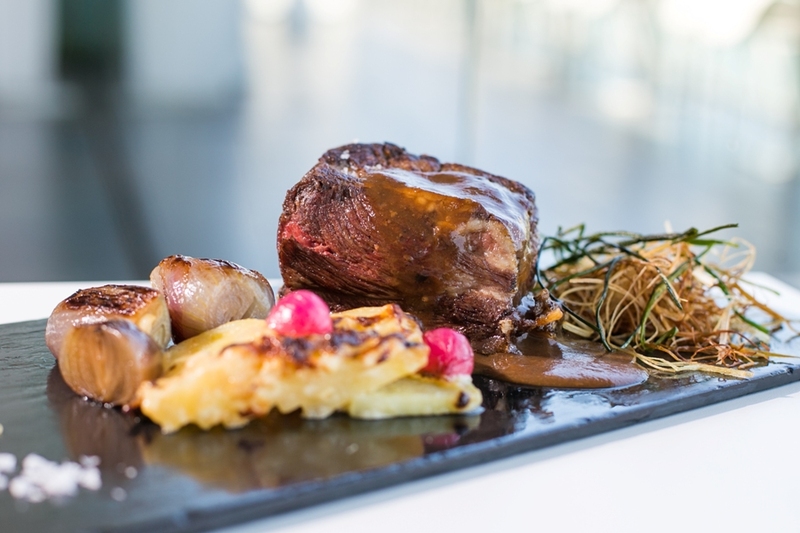 Delight yourself with a unique culinary proposal in a privileged place of Seville. Won’t you join us?